NASA's space shuttle has been awarded to the Intrepid, sources told the Daily News. Are you exicted to see the Enterprise shuttle come to NYC? WASHINGTON - The Intrepid Sea-Air-Space Museum has landed a NASA space shuttle! NASA Administrator Charles Bolden will announce later Tuesday that the prototype Enterprise shuttle has been awarded to the Intrepid, sources said. The decision follows months of aggressive lobbying from Sens. Chuck Schumer and Kirsten Gillibrand. 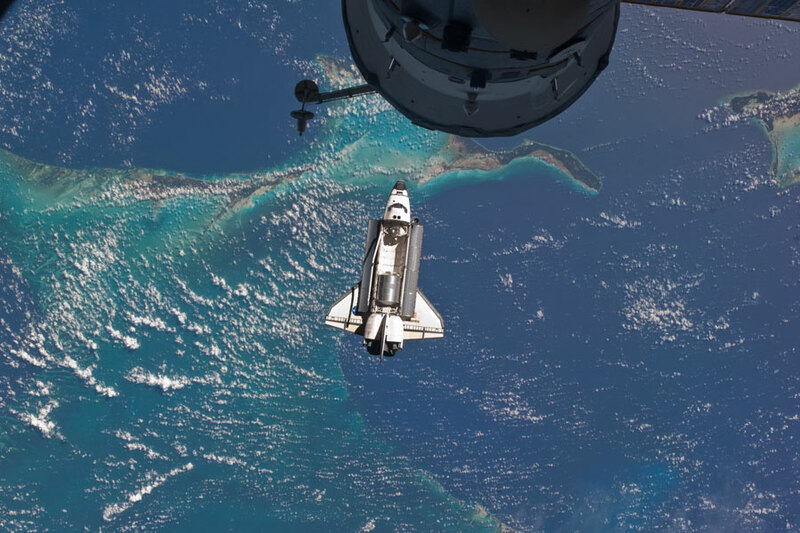 Bolden, a four-time astronaut and retired Marine major general, will also announce where the retiring Discovery, Atlantis, Endeavour shuttles will go on display Tuesday afternoon. The Intrepid plans to house the shuttle in a glass enclosure - and hopes that the exhibit will bring in more than 1 million visitors. NASA estimates the cost of preparing and delivering the shuttles at $42 million each - cash the Intrepid hopes to raise through fund-raising efforts. The shuttles are slated to be delivered sometime next year. The Enterprise shuttle was a test model that flew, but never orbited space. 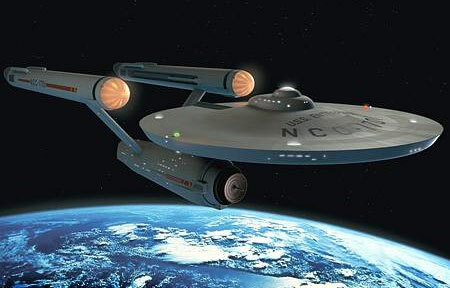 Built in 1976, the Enterprise was initially set to be named the Constitution. Star Trek fans inundated then-President Gerald Ford, pleading for a change to the Enterprise. Ford, who served aboard the U.S.S. Enterprise supply ship during World War II, never mentioned the Trekkie effort in overriding NASA officials. Ford said only he was "partial to the name." The Intrepid Sea-Air-Space Museum on the Hudson's Pier 86 was up against tough competition from 20 other cities and institutions, including the Smithsonian Institution in Washington, Kennedy Space Center in Florida and the Johnson Space Center in Houston. But "as the cultural and economic capital of our nation, New York City has the right stuff to best exhibit the shuttle," Gillibrand said. Join the Intrepid Sea, Air & Space museum as we honor our heroes, past and present, this Veteran’s Day. 2:30pm: Cheer on Hoops for Heroes’ Dave Cummings as he shoots foul shots on the flight deck. Dave and Hoops for Heroes are working together to raise funds for the Intrepid Fallen Heroes Fund. Support Dave this Veterans Day as he hits his half way mark, 500,000 baskets and becomes one “swish” closer to his goal: 1 million foul shots! *FREE Veteran’s Tours will begin at 10:30am. One tour per hour will be given at 10:30am, 11:30am, 12:30pm, 1:30pm and 2:30pm. Tours are limited to the first 20 people to sign up, will last approximately one hour and are on a first come, first served basis. Sign up upon arrival at the Information Desk. Boo! Visit the Intrepid Museum Complex during our “spooktacular” Halloween festival, featuring a variety of seasonal fun. Included in this years' Halloween festivities is a Pumpkin Patch, kids can come into the Museum pick a pumpkin and paint spooky, scary faces on their pumpkin. While you are there stop by and get your face painted with special Halloween themed designs!